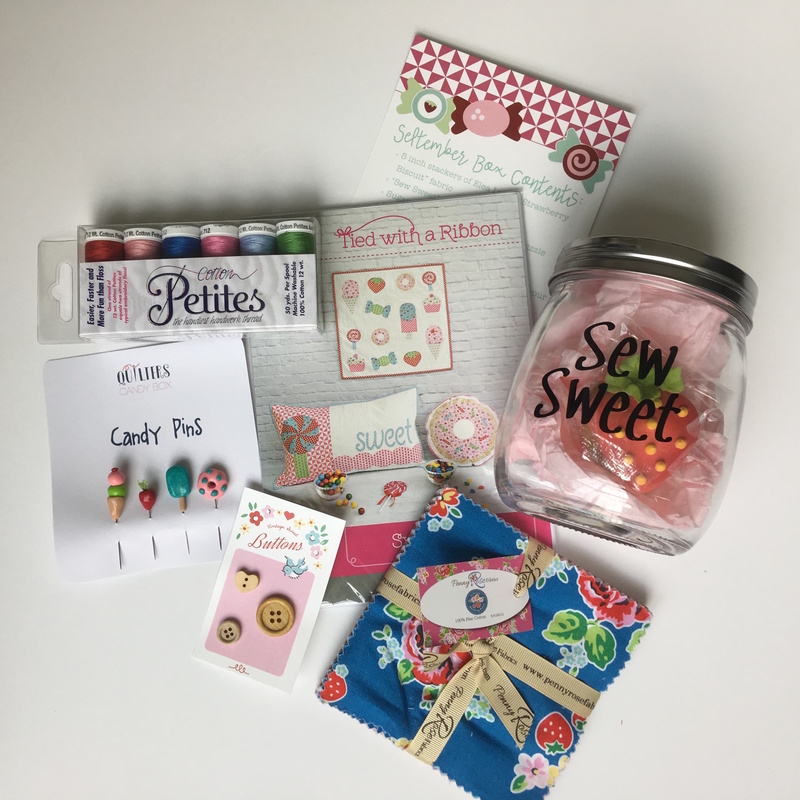 This box was inspired by the yummy treats of Elea Lutz's fabric and Tied With a Ribbon's patterns. The pattern is 'Sweet Treats', and includes a mini quilt pattern and two pillow patterns. The fabric is Elea Lutz's Strawberry Biscuit 5 inch stackers, rich with blues, pinks, greens and reds. To match your fabric, there are 6 spools of thread from Sulky Threads. You will enjoy the exclusive custom pins that coordinate with he patterns and fabric (a strawberry, donut, ice cream cone, and popsicle). There is also a 'Sew Sweet' candy jar that has a delicious cookie inside of it. To top it off, you'll receive a button card with some vintage buttons to keep.